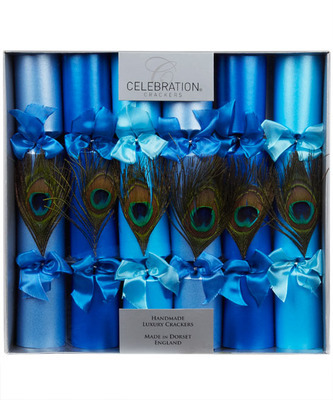 The gorgeous blue handmade Liberty Celestial Christmas Crackers crackers come in at £29.95 for six. 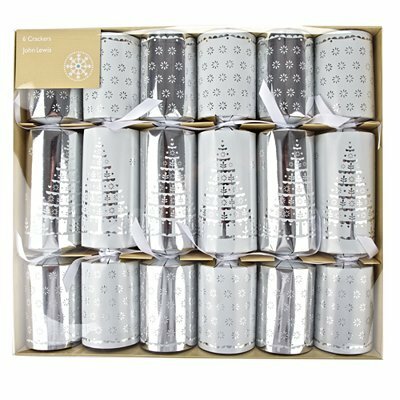 Unsurprisingly, the Christmas Cracker was invented by a Victorian, Tom Smith, a baker from Clerkenwell. He discovered the bon bon while on holiday in Paris in 1840, which was an individually wrapped sugared almond. These John Lewis crackers are just £10 for six. He initially marketed the sweets at Christmas as love tokens from young men to their sweethearts. They went down very well. His inspiration for adding messages within the wrapping of the sweets might either have come from fortune cookies, which started to appear in the early nineteenth century, or from Chinese moon cakes which had characters for "longevity" and "harmony" on top. The final piece of the puzzle fell into place when either he saw a fire crackle spark after he kicked it, or when he was simply watching the sparks from a fiery log. Whichever story is true, it inspired him to create the "Bang of Expectation" or "Cosaque" (the cossack's whip-crack) in 1860 after having worked out a way to get a spark without the paper going on fire. The term "cracker" began to be used in the 1870s. 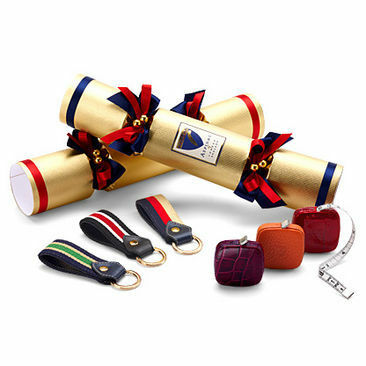 Aspirational crackers, these - £150 for six from Aspinals. Tom Smith's company by the 1880s, had sold around 13,000,000 of these small Christmas miracles, of over 100 designs, and actually still exists, although there's now no connection with the original family.